All-in-One - A very good quality nut with soft shell and sweet flavor. Similar to Non Pareil. Tree is small, vigorous, bears heavily. Showy white blossoms that bloom late. Self-fertile. Ripens early October. ​(image)​. Hall's Hardy - Very hardy and bears heavy. Large, hard shell nut. Good for late frost areas. (Late/needs pollinizer). 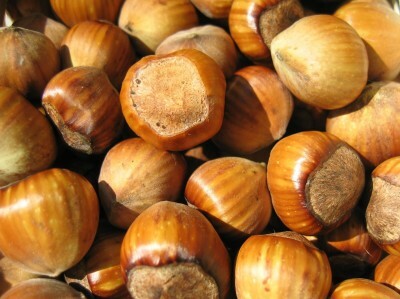 Ne Plus - Nuts are large and long with soft corky shell. Very productive and early bloom. Ripens late September. Pollinizer with Non Pareil and Mission. Non Pareil - One of the leading high producing almond varieties, harvesting mid-season. Excellent kernel quality. Pollinizes with Mission and Ne Plus. 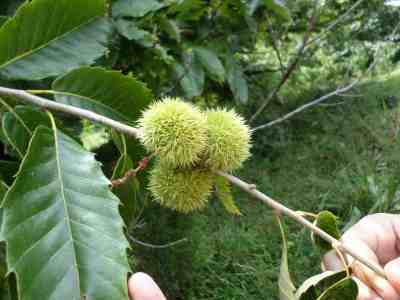 Tree is smallest of the chestnuts, it has rounded head with brilliant glossy leaves. Grows to 40' to 50' tall. Usually produces very large nuts at 3 years of age (image)​. Barcelona - Slow growing tree. Excellent, very large, roundish nut. Good flavor, good producer. Pollinizers suggested: DuChilly and Daviana (image)​. 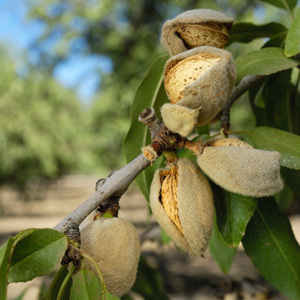 Daviana - Excellent medium-size nut with smooth kernels and colored medium brown. Vigorous, productive trees. Excellent pollinizer. Pollinize with Barcelona. Duchilly - Nuts are large and attractive. Widely used to pollinize Barcelona. California Black Walnut - Native to Northern California. 30' to 50' tall, with single trunk and broad crown. Tree is drought tolerant and resistant to oak root fungus. 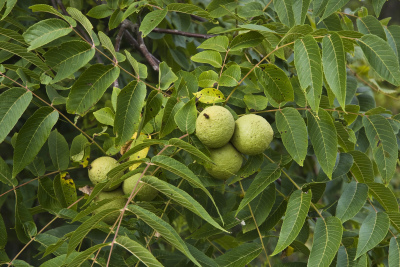 Mainly used as a rootstock to English Walnut varieties. ​(image)​. Carpathian (Hardy)- One of the largest and hardiest strains. Trees bear thin-shelled nuts that fall free of their husks. Plant 2 or more for best crop. Franquette - Leading commercial variety in California. Late blooming. Nut is elongated, point, fairly smooth and of light, clear, attractive color. Shell is thin but well sealed. Hartley - Tree is medium to large producing nuts with good kernel quality. Harvest mid-season. Self-fruitful or pollinize with Franquette.